The Suzuki Swift, a small car, looks back on a long-standing success story in its segment. 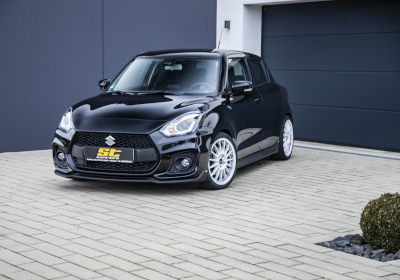 From today on, ST suspensions will be offering a coilover suspension for the current sixth generation of the Suzuki Swift (AZ), including the 140 hp Sport model "Swift Sport". 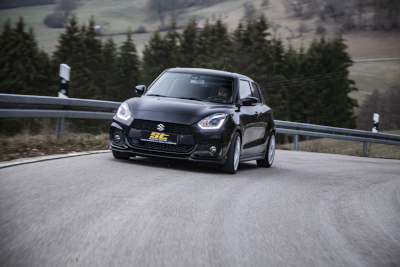 The ST X coilover suspension not only ensures stepless lowering of up to 50 mm as part of the parts test but also noticeably increases the driving dynamics of the small car. The setup of the KW dampers used in conjunction with the ST springs ensures an ideal balance of practicality and sporty handling. Even with full payload and maximum axle loads, the suspension dampens comparatively more comfortable than when lowered with a spring set. Even at high speeds on the highway, the ST suspensions coilover suspension in the Suzuki Swift ensures safe road holding. The days when a coilover suspension was always the same or harder than a conventional suspension are long gone. 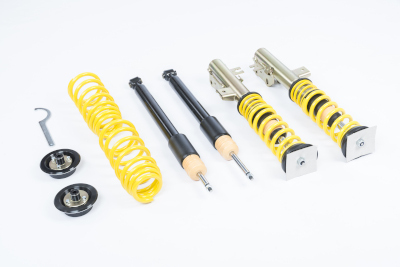 By using shorter damper housings, the suspension travel on an ST coilover suspension can be slightly longer than with a standard suspension in conjunction with a lowering spring set. Stepless lowering is performed at the front axle directly on the struts of the ST X coilover suspension. The tested adjustment range is according to the expert's report between 25 and 45 mm. At the rear axle, the rear-axle height adjustment of the Suzuki Swift (AZ) and Suzuki Swift Sport (AZ) can be lowered between 30 and 50 mm, thus reducing the unattractive wheel gap between the fenders and the tires. The ST X coilover kit is now available for all front-wheel drive Suzuki Swift. For the predecessor models of the current series such as the Suzuki Swift type MZ, EZ and NZ the ST coilovers are also, in supply. More at www.st-suspensions.net.